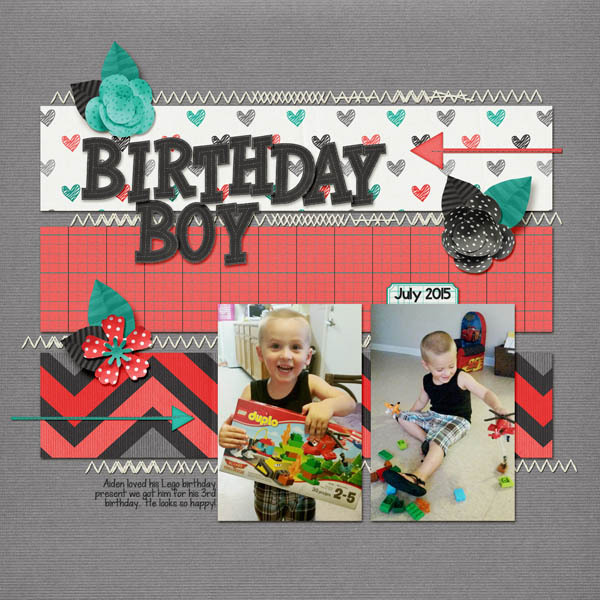 Each year, Heidi and Lori of Scraps N Pieces do a birthday kit for each other. This is Heidi's birthday kit, made by Lori. Cool Beans puts the "awe" into "awesome." This cheerful kit celebrates the important things in life: friends, fun, and believing in yourself. However, it is also versatile enough to be used to scrap anything you can imagine and plays well with other kits. Cool Beans combines a retro color palette with a trendy twist for perfectly patterned papers, super versatile elements, and super cool word art. This kit comes with flair, journal cards, and word art for accenting your page, as well as the flowers and banners and buttons you've come to love from Scraps N Pieces, and a perfect black stitched alpha for all your scrapping needs. Inject some coolness into your layouts with Cool Beans. This kit is half price this week at both our Scraps N Pieces and My Memories stores.This kit has FREE cardstocks and lined paper pack WITH DOWNLOADS.